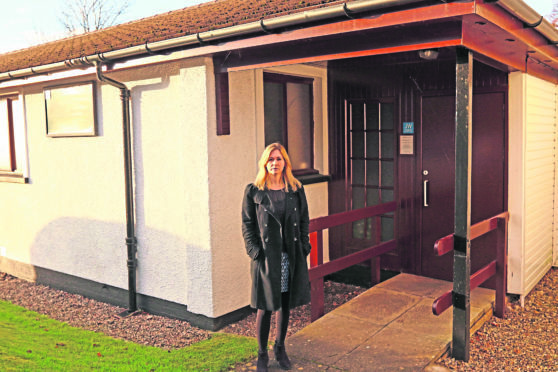 A community council has called in police to investigate as it is unable to find £18,000 from the sale of a village hall back in 1988. Three decades later the missing cash – now worth around £46,000 in today’s money after inflation – from Dunbeg Village Hall is being treated as a theft. The community-owned hall which once stood in Etive Road in the village outside Oban, was sold to the local group of Jehovah’s Witnesses. It was later demolished and the Kingdom Hall of Jehovah’s Witnesses was built in its place. The cash from the sale was transferred into an account for Dunbeg Community Council on July 4 1988 and later a trust fund was established on behalf of the community. But today there is no trace of the money and villagers have no idea if it has been spent. Councillor Julie McKenzie said: “The missing trust fund money has been something of an urban myth in Dunbeg for many years. “We have repeatedly heard sketchy details at community council meetings in relation to the money being re-invested, however to my knowledge a paper trail has never been evidenced. “Since becoming aware of this issue I have consistently advised community councillors to alert Police Scotland. It had been my understanding that they followed this course of action prior to May of this year. Murray Young, owner of Dunbeg Village Stores, said: “Villagers have been asking about this for years. It has been general chit chat in the shop, where did the money go? Nobody seems to know. “I heard it was paid into a bank account for a new hall, whether it was for the ground works or the start of the ground works, it was to go towards a new village hall. One Dunbeg resident, who did not want to be named, said: “We have heard the money was invested. That’s all we know. There doesn’t seem to be paperwork or anything. “I believe the money was put in a bank account to build up interest, which was to be used for annual pensioners’ dinners and the like. A spokesman for Dunbeg Community Council confirmed that they have reported the matter to the police but said that they could not comment further at this time because an investigation is on-going. Argyll and Bute Council said it could not comment because it is a police matter.